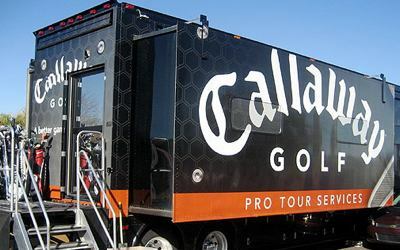 During the THP trip to Doral, we were fortunate enough to get an inside look at the Callaway Tour Van. What do they do? Who do they work with? How do they go about things? Well, THP wants to let you behind the curtain to see exactly what goes on during tour stops to get players ready for each event. It’s like a batmobile of Callaway clubs. Nice! Audio is distracting though as it is only in the left channel and the right channel has white noise at different times like someone is rubbing cloth against a mic. Nice video guys. Thanks for sharing this one.